Norway is one of the more popular Scandinavian countries. It is known for many things and is known as one of the best countries to live in. For many of us, however, relocating to Norway is not a possibility. The next best thing then is to go on a trip to this interestingly complex country. If you were to ask someone who knows a lot about Norway: “What is the best that the country has to offer?” Perhaps your answer would be its amazing and very varied scenery. From fjords to mountains to cities – this country will surprise you at every turn. Naturally, you might not have enough time to traverse the whole length and span of the country, so here are some of the best that Norway has to offer. Founded by King Olav more than 900 years ago, Bergen used to be the capital of the country. While this distinction has been given to another city, Bergen still has so much to offer the visitor. From Hanseatic houses to cathedrals to a mountain ride, you can have all this in Bergen. From Bergen, you can take a coach to Voss, which is situated between the two biggest fjords in Norway. The route itself is very scenic, and is worth the trip alone. Another city founded by King Olav, Trondheim was also once the capital of the country. Places to visit here include the Nidaros Cathedral and the Archbishop’s Palace, which is considered to be the oldest secular building in Scandinavia. 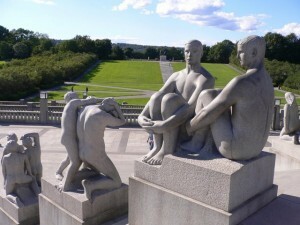 Of course, a visit to Norway will not be complete without a visit to Oslo, which is surprisingly elegant and sophisticated at the same time. It has so many cultural centers – from museums to art galleries – and also has a lot of parks for children.